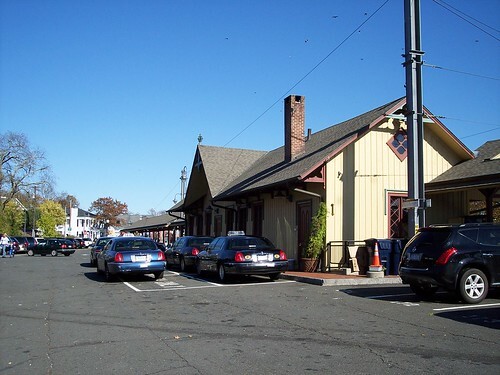 The old station building in New Canaan is still in use as a station. 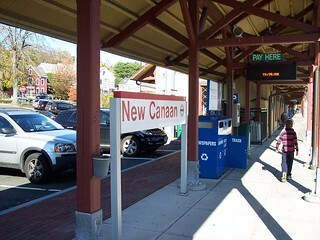 We began our journey on the New Canaan Branch here. 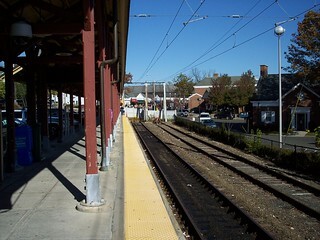 The station has an old wooden canopy that follows the tracks to their end. 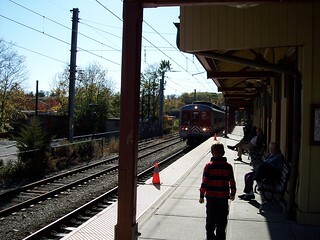 Our train to Stamford arrives at the station.